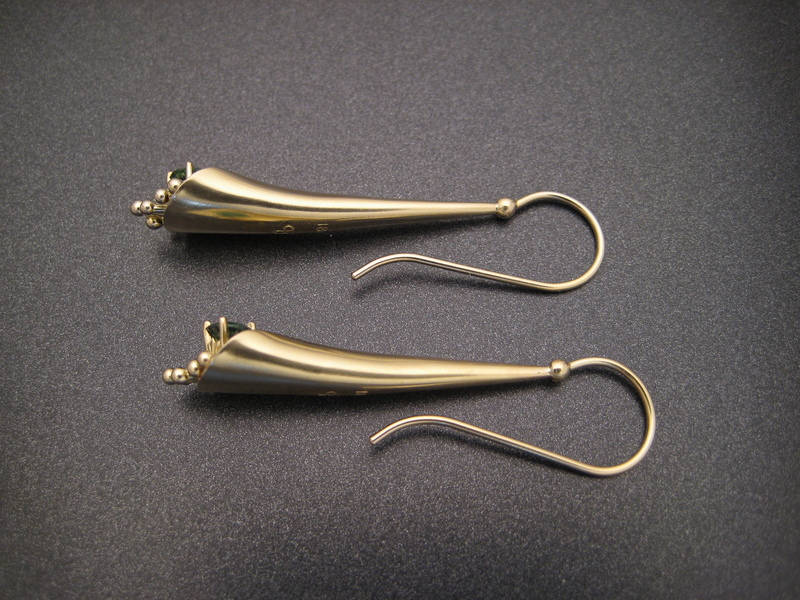 A spiculum is a technical term coined by the metalsmith Heikki Seppä in the late 1970’s. The system of terminology he began using is all based on the Latin words for common shapes; in this case spiculum means thorn or spike. 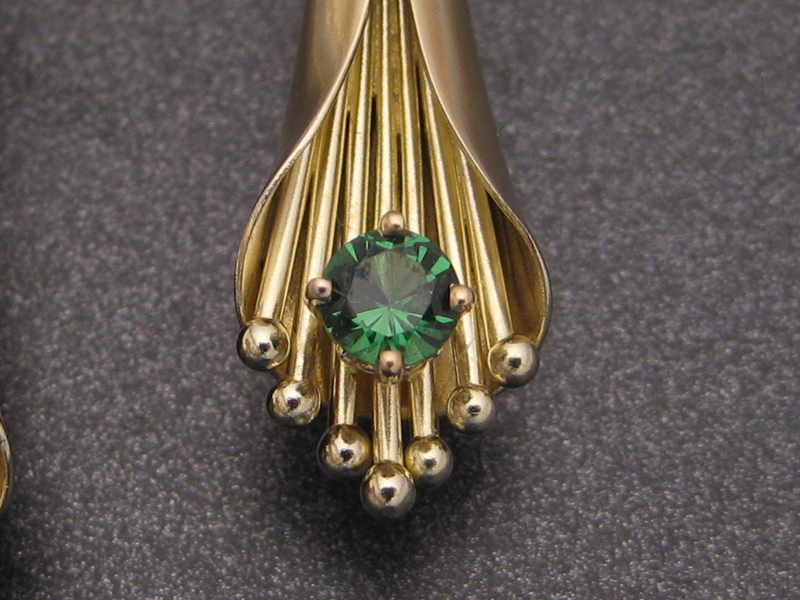 There are many different styles of spiculum jewelry. Some are double ended meaning there is no opening in the form. They can be bent, twisted and dressed up in countless ways. 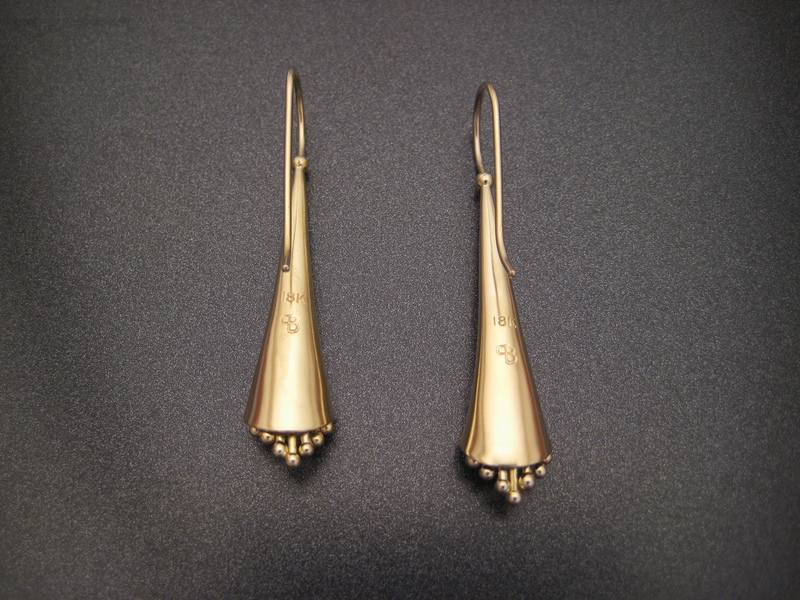 This style of earring design is nice because you get a large expensive looking gold appeal by using a hollow form hammered out of sheet gold. They are light, comfortable and elegant. 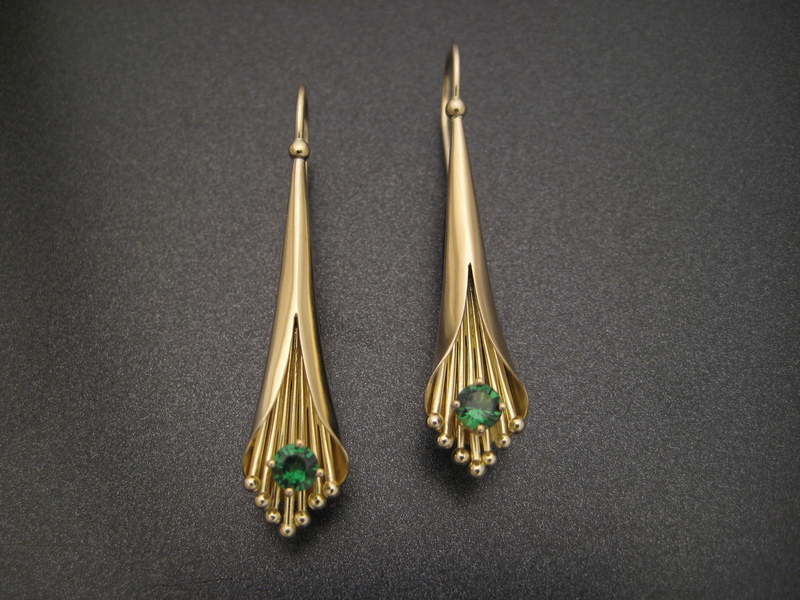 This particular pair was made using a beautiful pair of tsavorite garnets. The stones are set on top of gold wires which had been beaded on the ends and fused to the inside of the form.